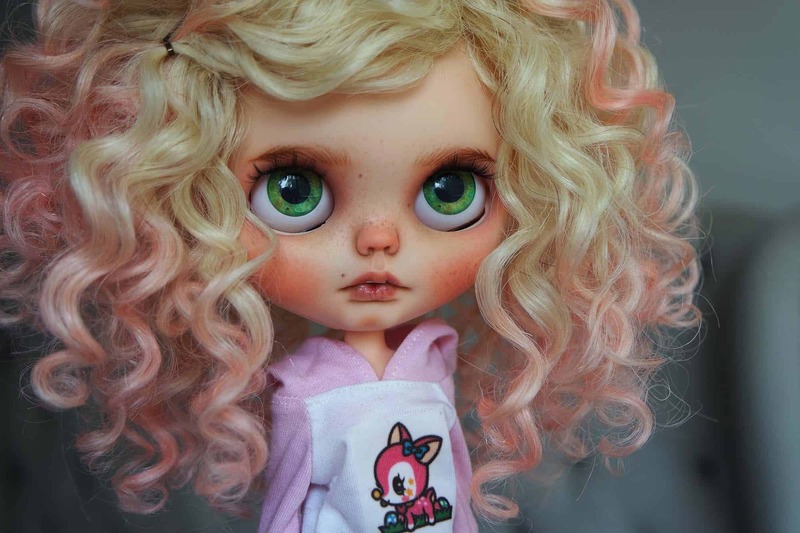 Cihui started early 2017 and is already establishing herself as a well known Blythe doll customizer. 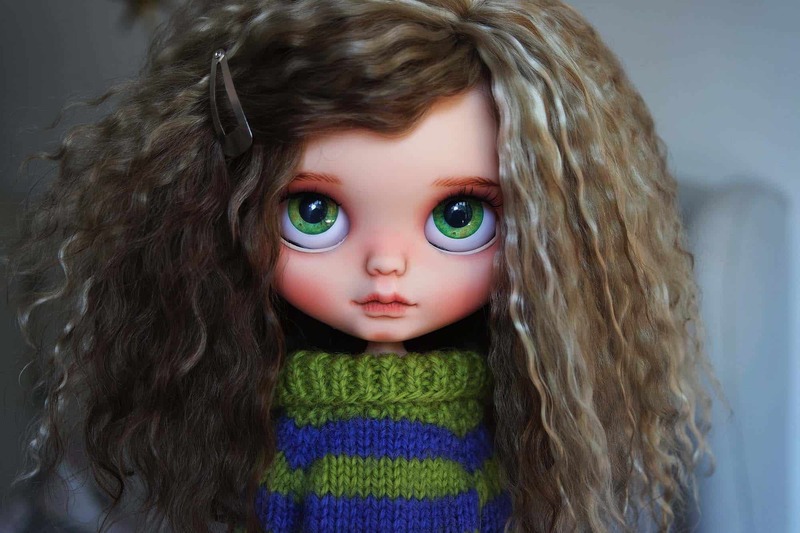 Her sweet realistic style, curly-haired cuties captivate our attention. Enjoy the process, you are going to need a lot of patience, but it is worth it! Practice, practice, and don’t be afraid to try new things. My full name is Cihui Estrada Guzmán. I am 35 years old, and I live in Mexico City. 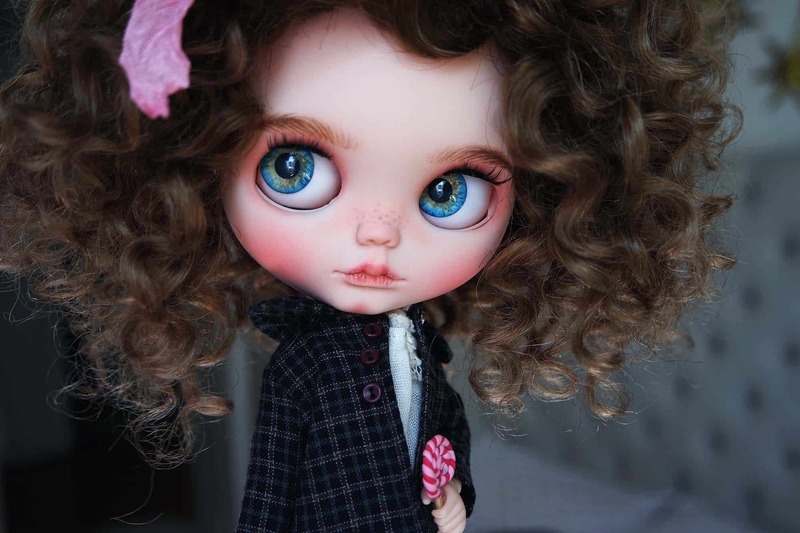 I got to know about the Blythe world when I started seeing photos on my Instagram feed, and they completely caught my attention. Since I’ve always been involved in the art world, I didn’t hesitate to investigate why they were all so beautiful and so different. It was there that I discovered that “customizers” existed and that each had its own style. And I loved it! At that moment I thought “I’m dying to customize one of mine!! !” So I took the courage and started watching tutorials on YouTube. I started doing a lot of research, then asked for all the materials from many countries and that’s how I started. Of course the first ones I had to redo them several times hehe. As they say “Practice makes the master” ? I think it was a process of my first 15-20 dolls, after that I really started to stick to a style. 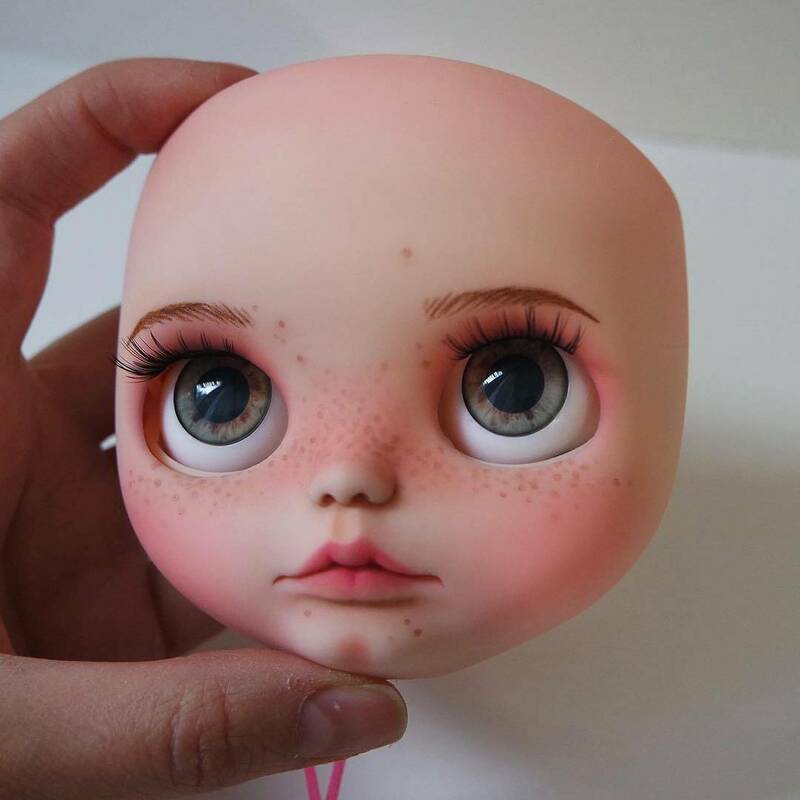 First, it was a hobby, but then my dolls start getting adopted very fast and I started receiving commissions so I decided to take it in a more professional way. And it makes me so so very happy!!! To be able to live from a passion is an indescribable feeling that fills my heart. I also work as a graphic designer and artist. 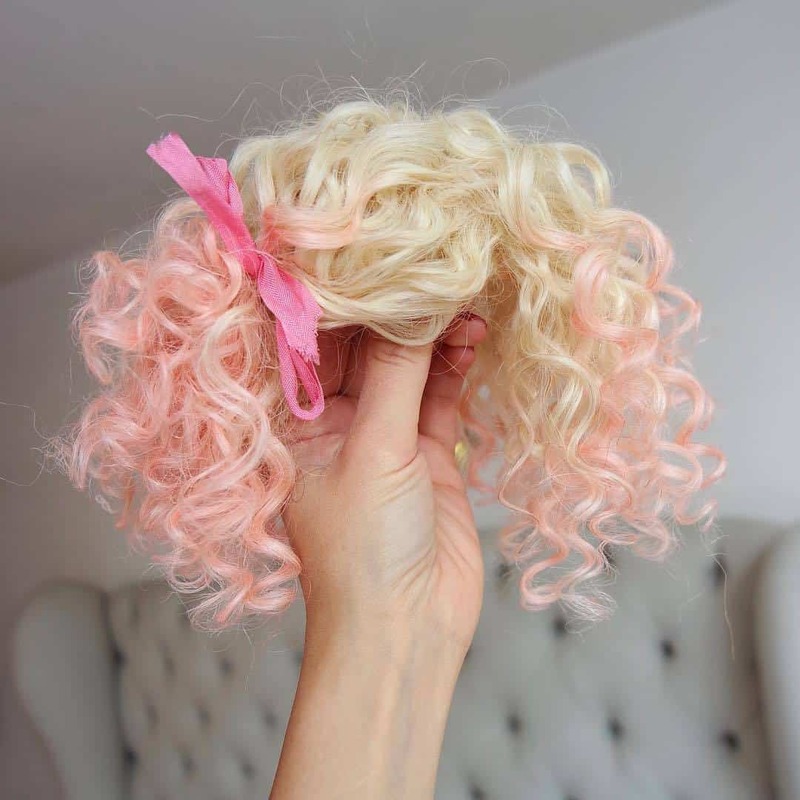 The only thing I set up since the beginning of every doll is the kind of hair she is going to have. Then in the carving part I start going with the flow: what feeling does she give me is how I do the carving of the mouth and makeup. Also, I get inspired by seeing pictures or babies on Instagram, or babies of my friends. 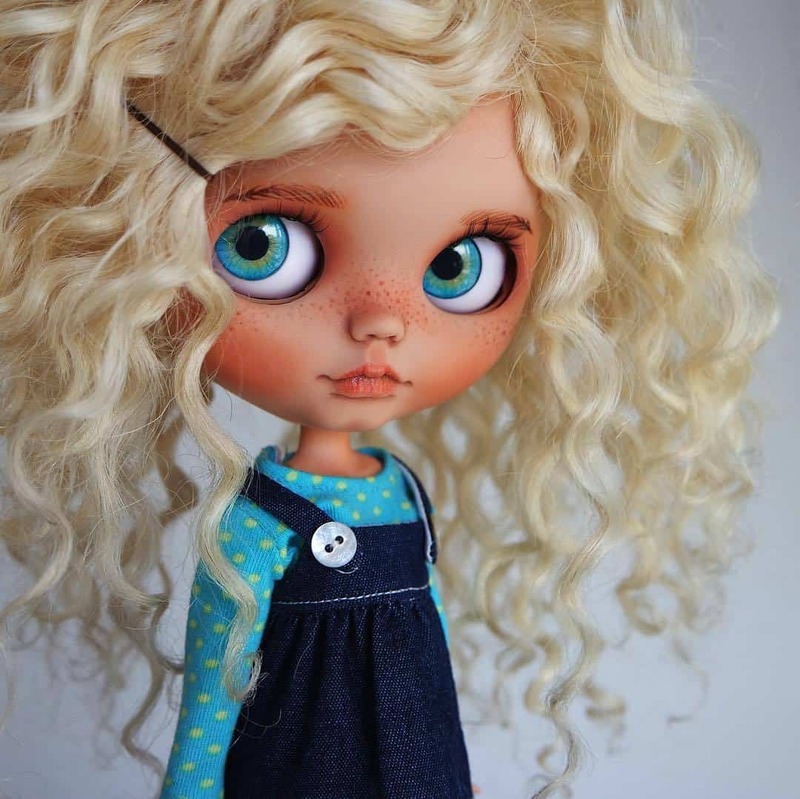 It’s curious, but many people have told me that my dolls look like me, ha ha ha, maybe is something unconscious. 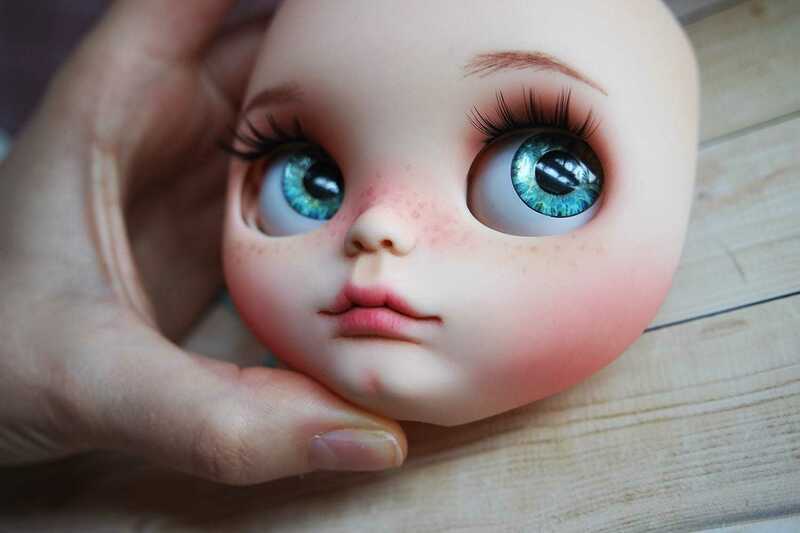 My favorite part is when you already finished and you begin to put all the parts together and see how the doll begins to come alive!!! Whoa! What a feeling!!! It is very exciting. And the most tedious part for me is rerooting haha oh my God! So many hours, and sanding!!!! Pffff hahaha but everything is worth it when you see your little girl finished. I take approximately 2 weeks. 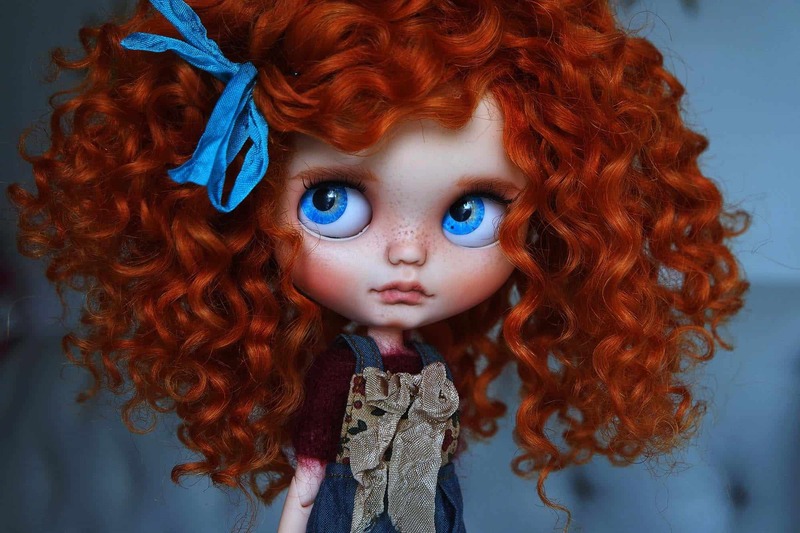 I don’t know why I can’t manage to work multiple dolls at the time. I have tried it but I can’t really concentrate. I need to focus my mind on just one. 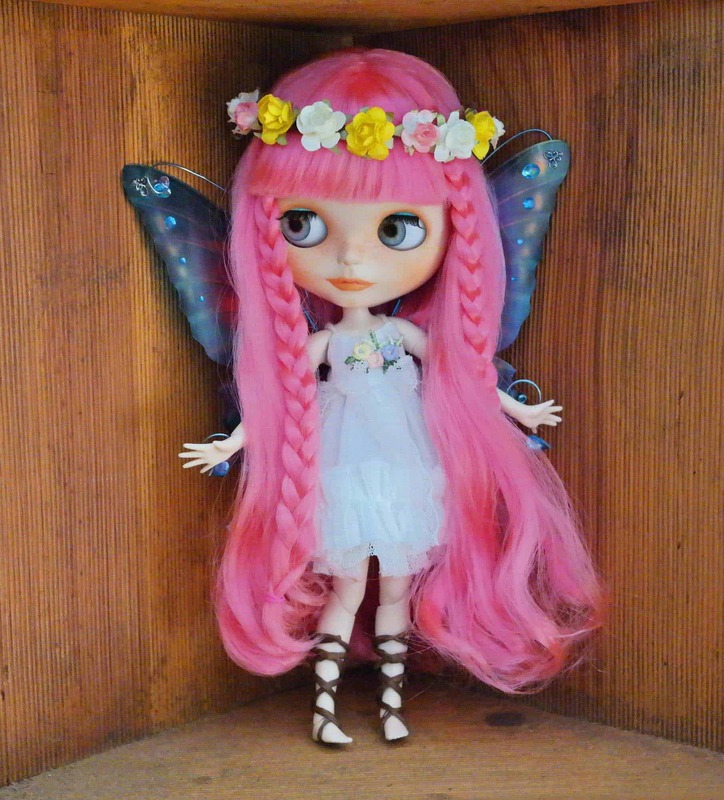 Yes, I made a very cute studio at home to work on my dolls ? Mmm, this is a tough one haha! 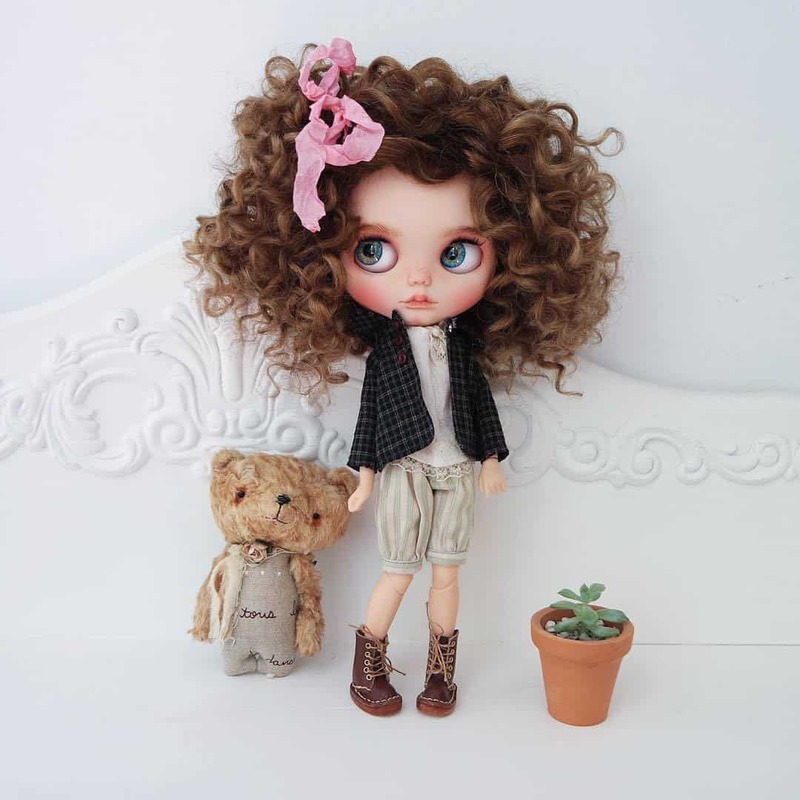 Well, my dolls are like sweet little girls, some have freckles some not, some have teeth some not, I love to use curly mohair weft, mohair and Suri alpaca reroots. I don’t know how they are called in English ? but I can imagine they are same every customizer uses. My favorite mold is SBL because of the smaller eye socket. 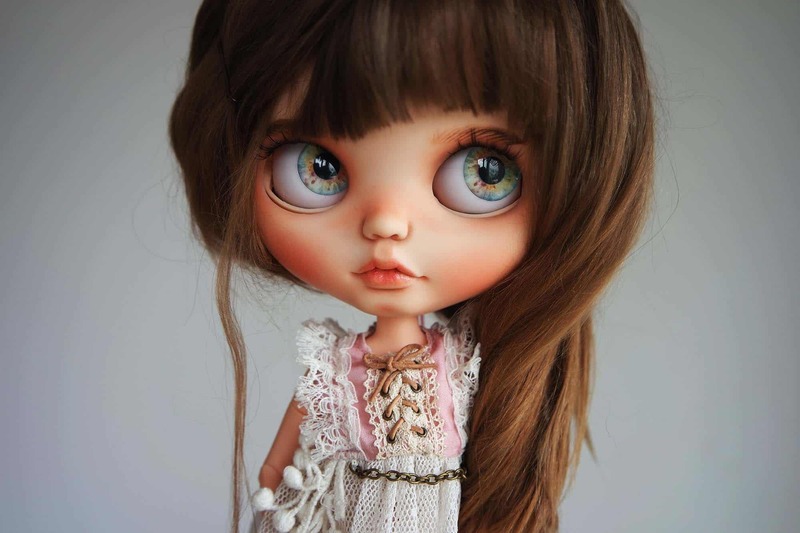 I start at a very low price and started increasing little by little as I was improving my work from doll to doll. Enjoy the process, you are going to need a lot of patience, but it is worth it!!! Practice, practice, and don’t be afraid to try new things. 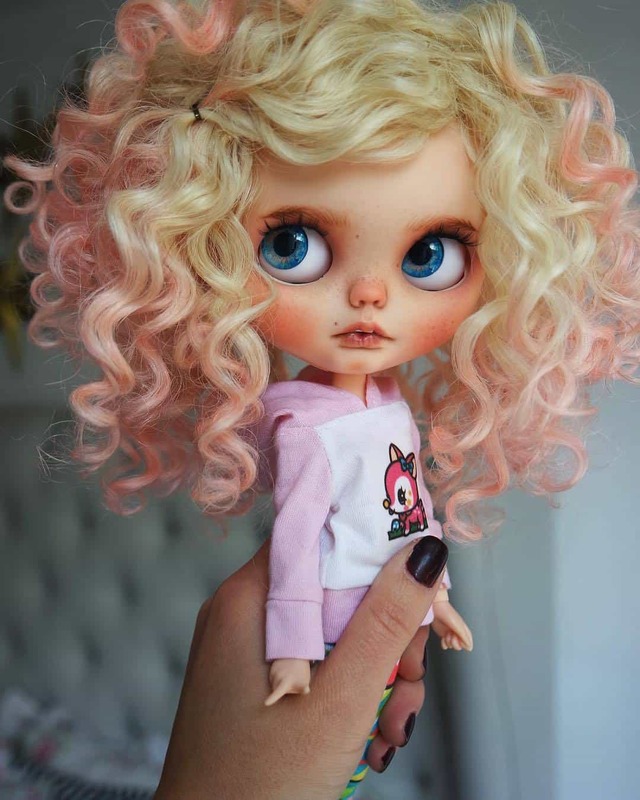 Cihui, a mexican graphic designer in love with all the arts, learns about Blythe dolls on Instagram and decides to give it a try herself customizing her first doll in 2015. 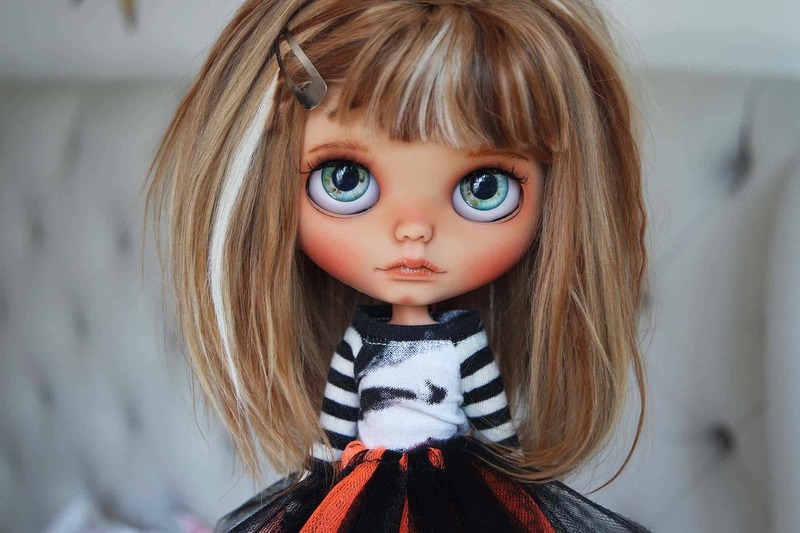 Three years later and over 80 dolls, she does it professionally and has a lot of admirers. 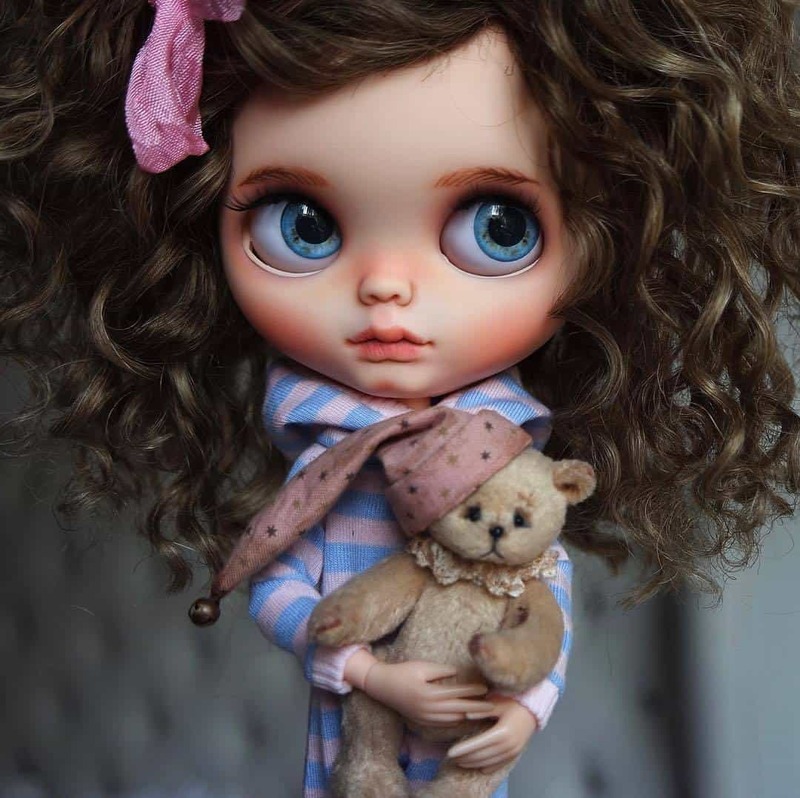 Her sweet looking dolls, captivate the eye with a style that is now a signature. Follow Cihui’s work by checking her profile page with all links to her social media sites.